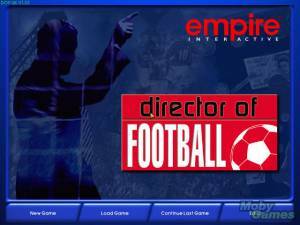 FIFA Manager 10 is a managerial simulation in which the player is responsible for the financial and athletic success of his team. The player has influence on many settings, e.g. line-ups, player transfers, training, budgets, merchandising, stadium expansion or sponsors. New is the stadium infrastructure were the player sets the number of toilets, VIP rooms and similar things. 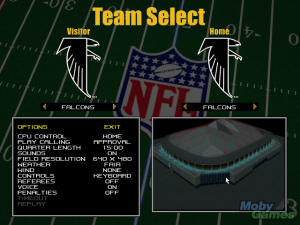 The game basically features two match presentations with a few variations: text mode and live calculation. In the text mode the game describes the most important happenings in writing. 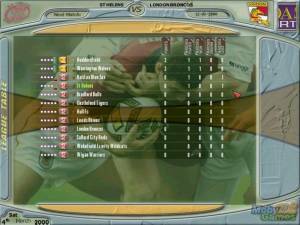 In the 3D calculated matches the player can reach all tactical options during the match without needing to use a separate menu. 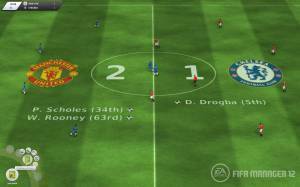 The matches can also be watched as "live ticker" which is similar to teletext, in the "highlight mode" which is basically a faster 3D calculated match or be skipped altogether. 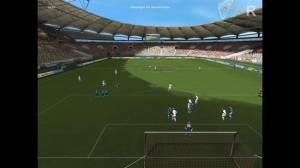 The most prominent innovation is the new online mode where many players compete against each other in a league. The complexity is noticeable tones down: the players only have to care for training, basic tactics, line-up and stadium expansion. The athletes have just one rating with a few special abilities and the matches are played in text-mode only. Player transfers are similar to an auction were all players can participate. All other innovations in the regular game are small detail improvements, e.g. the player character is shown during the 3D matches, the fans of the club express their wishes or support for widescreen-resolutions.